When I first came to Florida to start my career as a professional Magician in January of 1990, I knew only one person, my dear friend Paul Fisher, with whom I shared my first apartment in Dallas and who now invited me to stay with him in his Miramar home until I got settled. I had chosen Florida, naively thinking that I’d work on a cruise ship. During my first interview with a cruise line entertainment director, I was asked what my stage show was like. I replied that I was a Close-Up Magician and didn’t have a stage show. He had never heard of Close-Up Magic and was not interested in seeing or hearing more about it so… end of interview! How was I going to make a living as a Magician? The first thing I did was to try to get a gig performing in a restaurant. After almost two months of calling and visiting restaurants, I finally convinced two different restaurant owners to give me a try, and I got two gigs on the same day! 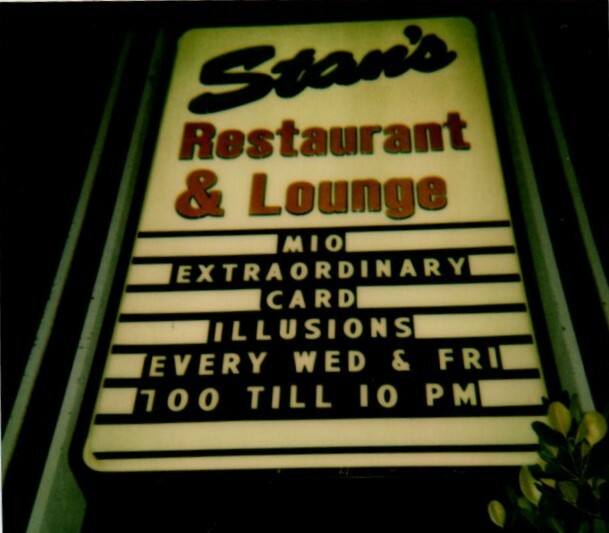 One was at TGIF, performing table-to-table Close-Up Magic at their Sunday brunches for $75 and the other was at Stan’s Restaurant, an iconic steakhouse on the Intracoastal where my deal was $25 plus tips, plus dinner, no lobster. For the first year, I heard from no one… nothing! Then one day, the calls finally started coming in and soon I was getting inquiries regularly. Not every call led to a booking so I made it my business to do as many gigs as possible, realizing that the best way to get a gig was to have someone see me perform at an event that they were attending. I looked at every gig as an opportunity for more gigs! After 4-5 years, I had to cancel my restaurant performances on a Friday here, a Saturday there, until I finally made the leap to the next level; I quit all my steady restaurant gigs and opened my schedule to be available for the private parties and corporate events that I was now booking. That moment was almost as scary as the moment 5 years earlier, when I quit my last waiter job and looked up to the Universe, embracing the journey without hesitation – a journey that is now in its’ 30th year – a joyful career where I am not only known as a Close-Up Magician in Miami, and a Corporate Mentalist in NYC; I entertain folks across the country and around the world! 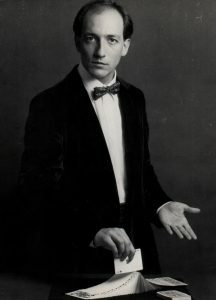 I am proud to say I feel partly responsible, along with my contemporaries, that during those first decades, I assisted in creating a novel interest and acceptance for Close-Up Magic. So many people have enjoyed an uplifting experience with Magic that there is currently a renaissance of Magic and Mentalism, especially Close-Up Magic, with never before seen levels of exposure!